Nudge a person with dementia to walk down the right hallway // all by trying a little tenderness. Before consumers send Roomba robotic vacuum cleaners to the manufacturer in St. James, N.Y., for repair, they often etch their names on the machines in the hopes of getting their own robots back. For the manufacturer, that’s not ideal—it’s cheaper to replace the squat, disc-shaped floor and carpet sweepers than to fix them. Yet, somehow, owners grow attached to the contraptions and worry that a new robot will have a different personality. “People are grateful that the Roomba improves their lives, so they reciprocate by giving it attention like they would a pet,” says Ja-Young Sung, a Ph.D. student at Georgia Tech who surveyed 379 Roomba owners in 2007 on their attitudes toward the robotic device. Sung found many owners who gave their Roombas names and painted them, adorned them with stickers or dressed them in costumes. Although the Roomba’s “more primitive programming” causes it to bump into furniture as it randomly—and not always efficiently—cleans, some find that trait endearing. “Human actions aren’t predictable, so the Roomba’s randomness feels more human,” says Sung, who admits that she talks to her own Roomba. And like parents coaching a child to perform a song, Roomba owners frequently turn on the machines to entertain friends, while neighbors pit their Roombas against each other on a homemade racetrack. That willingness to interact with an object that, if not inanimate, is still hardly human, presents both a challenge and an opportunity for creators of devices that go far beyond housekeeping to imitate the actions of people. As difficult as it is to design a robot that can assemble a Toyota or handle toxic waste, it’s even harder to make a walking, talking machine that’s “socially assistive.” That phrase was coined in 2004 by Maja J. Matarić, director of the Center for Robotics and Embedded Systems at the University of Southern California, and her research group to describe machines that could be therapeutically useful through social interaction—coaching, motivating and monitoring people with cognitive and physical disabilities. A socially assistive robot could, for example, tirelessly encourage a stroke patient to do rehabilitation exercises. It might walk next to someone with dementia, giving directions to help navigate the hallways of an assisted-living facility while chatting companionably. Or it could be a nonthreatening catalyst to teach children with autism how to interact with humans. Machine intelligence doesn’t have to be humanoid. In this video from The Washington Post, CosmoBot and “Play to Learn” software help one developmentally disabled boy. 1. “Socially Intelligent Robots: Dimensions of Human-Robot Interaction,” by Kerstin Dautenhahn, Philosophical Transactions of the Royal Society: Biological Sciences, Feb. 13, 2007. Dautenhahn argues that social capabilities should not be considered an add-on but rather a crucial part of robots’ cognitive skills. 2. “Trends and Controversies: Human-Inspired Robots,” by Hiroshi Ishiguro et al., IEEE Intelligent Systems, July/August 2006. A discussion of the challenges in endowing robots with humanlike appearance, movements and perception; of developing a natural language that allows machines and people to converse; of creating reasoning that allows robots to make rational decisions; and of designing algorithms to allow robots to learn new skills and tasks. 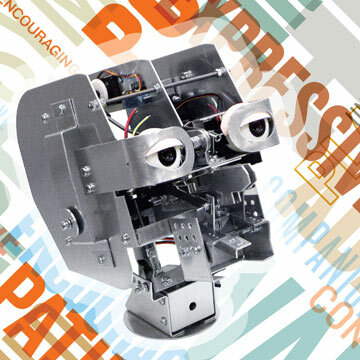 3.“The Grand Challenges in Socially Assistive Robotics,” by Adriana Tapus, Maja J. Matarić and Brian Scassellati, IEEE Robotics and Automation, March 2007. An excellent overview of the promise robots hold for helping people with cognitive and physical disabilities. Immersed in alternative worlds, gamers are learning healthy habits and even clicking their way toward medical breakthroughs. Using flashes of light to control brain cells may be only the beginning for a remarkable research tool.